If Ford has its way, self-driving cars will not arrive spontaneously, they will gradually evolve out of existing technologies. Ford currently equips cars with Active Park Assist, which can parallel park by itself. Future generations of the system will also be able to perpendicular park, and drive through traffic jams autonomously. Ford says it already has the technology to make this happen. Active Park Assist can parallel park a car by using ultrasonic sensors to measure the length and width of a space. It then steers the car into the space with the car’s electric power steering, which is already controlled by a computer. “Drive-by-wire” controls like electric power steering are not connected to anything; sensors read control inputs and translate them into actions. “Drive-by-wire” throttles and brakes, along with radar, allow Ford vehicles with adaptive cruise control to automatically speed up and slow down with traffic. According to Ford, these systems were the hardest part of making an autonomous car. Now that cars can steer themselves and slow down or speed up automatically, the machines are in control. Active Park Assist and adaptive cruise control are available on numerous Ford and Lincoln models, including the Ford Taurus, Ford Explorer, and Lincoln MKT. These technologies will be the basis for even more autonomous features. A new version of Active Park Assist will allow cars to perpendicular park by themselves. The new system will work the same way: the driver presses a button, the car beeps when it finds a suitable spot, then the driver shifts into reverse and modulates speed with the brakes while the car steers itself. By 2017, Ford also hopes to have a system that can navigate traffic jams without human input. Like Active Park Assist and adaptive cruise control, Traffic Jam Assist would use sensors to keep the car where it should be, and use the electric steering, throttle, and brakes to make corrections. So far, Traffic Jam Assist will only work with Ford’s Powershift dual-clutch transmission; it isn’t configured to work with a regular automatic or, for obvious reasons, a manual. Non-torque converter transmissions tend to be less smooth in low-speed driving, but the Powershift’s computer-actuated cog swaps might make it easier to integrate into this HAL 9000 of cruise controls. Ford views Traffic Jam Assist as an auto pilot for one of the most annoying parts of a commuter’s day, and the company thinks it will alleviate congestion. 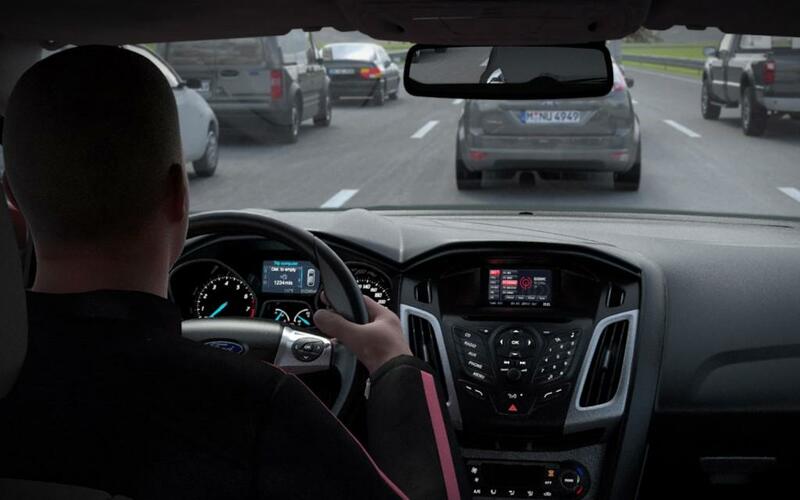 In a Ford-sponsored simulation, delays were reduced by one-fifth when one-quarter of the cars had Traffic Jam Assist. Ford isn’t the only car company to try to tackle congestion. Honda is working on an anti-congestion system. However, the Japanese company’s solution is less high-tech: it uses a color-coded display to warn drivers when they are behaving in a way that increases congestion, and rates their performance. Think of the glowing ball or leaf displays in hybrids, and you’ve got the idea. 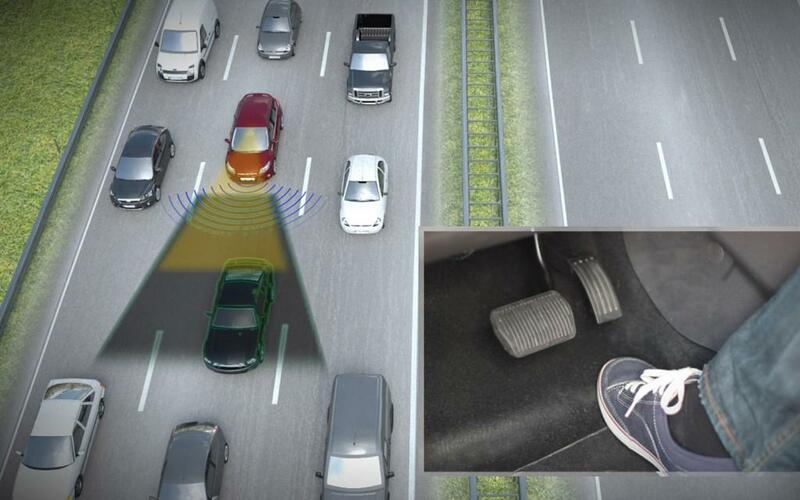 Honda and the National Highway Traffic Safety Administration are also looking at vehicle-to-vehicle, or “V2V” systems that allow cars to communicate with each other and move as a pack. The merits of self-driving cars are still being debated, but it looks like the technologies needed to make them already exist.